Free Ferry Tickets to Georges Island on Saturday! On Saturday, May 9, 2015 the Boston Harbor Island with Partnership from the National Park Service and the Massachusetts Department of Conservation & Recreation will be offering free ferry rides to Georges Island to kick off the season! 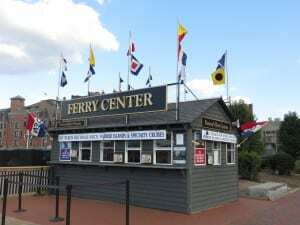 Ferries will be departing Long Wharf every hour starting at 10am. Free ferry tickets are on a first-come, first-serve basis and will be available starting at 9am. No advanced reservations will be taken and return times are assigned when tickets are issued. For more information about free ferry rides to Georges Island this Saturday, please head here or here. Saturday, May 9th is the start of the ferry season to Georges Island with service to other Boston Harbor Islands starting later in the month! A sign of summer! Will you be enjoying Free Ferry Day on Saturday?